Over 100 original exercises and how to teach them in a class format! 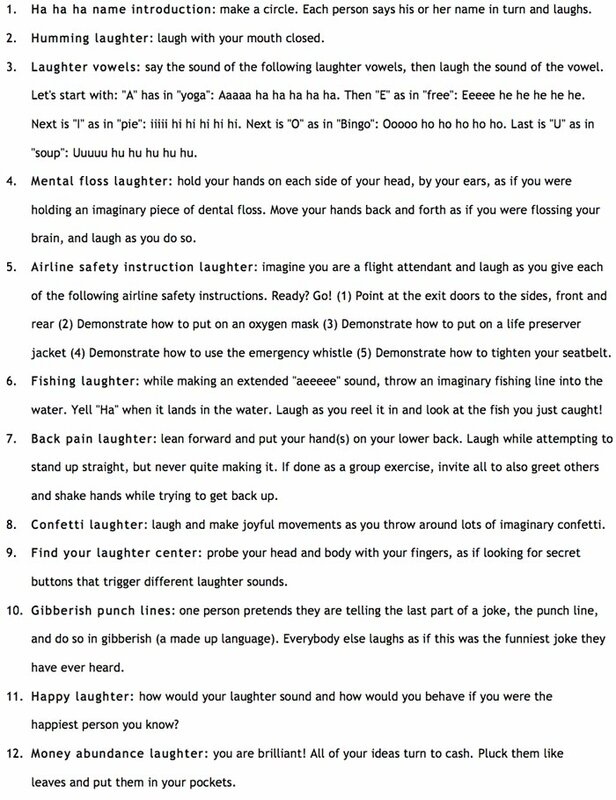 Now beginners, experts, and teachers alike can easily lead Laughter sessions. 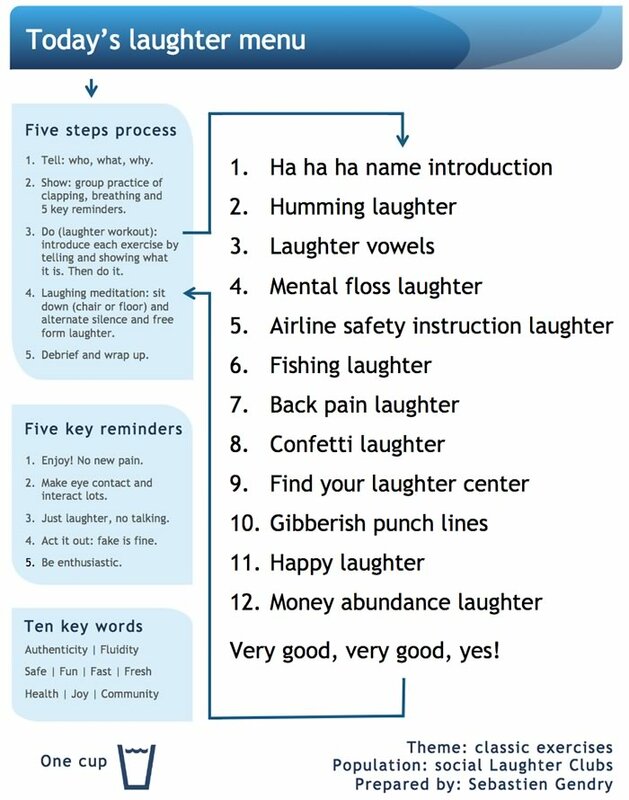 This unique document includes 10 Laughter Yoga session plans, each with 12 exercises and their definition.